Union Church in Falmouth - ca1880s. Churches seem to have been a favorite target for soldier graffiti during the Civil War. This was most likely due to the fact that as they did not contain residents, the buildings were unoccupied and thus easy targets for vandalism. Additionally, churches were often used as hospitals and barracks, where soldiers spent much idle time. 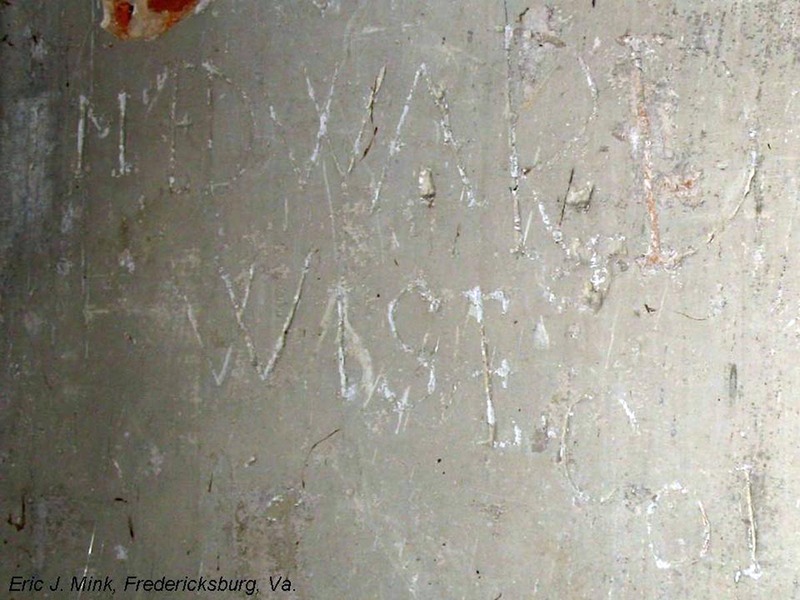 In the Fredericksburg area, we have examples of soldier graffiti at Massaponax and Salem Churches in Spotsylvania County, as well as Aquia Church in Stafford County. Add to that list Union Church in Falmouth. 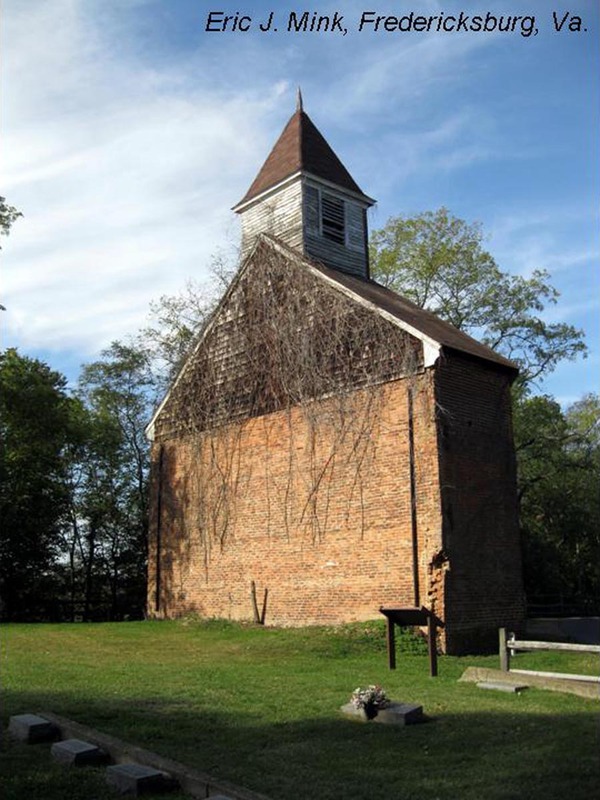 Built around 1820, Union Church served the Falmouth community for over 130 years. Union Church is actually the third house of worship constructed on the hill overlooking Falmouth. At the time of its construction, the Falmouth community did not contains members of any one single congregation to warrant a church devoted to either the Baptist, Methodist or Presbyterian faiths. Union Church served all three congregations. 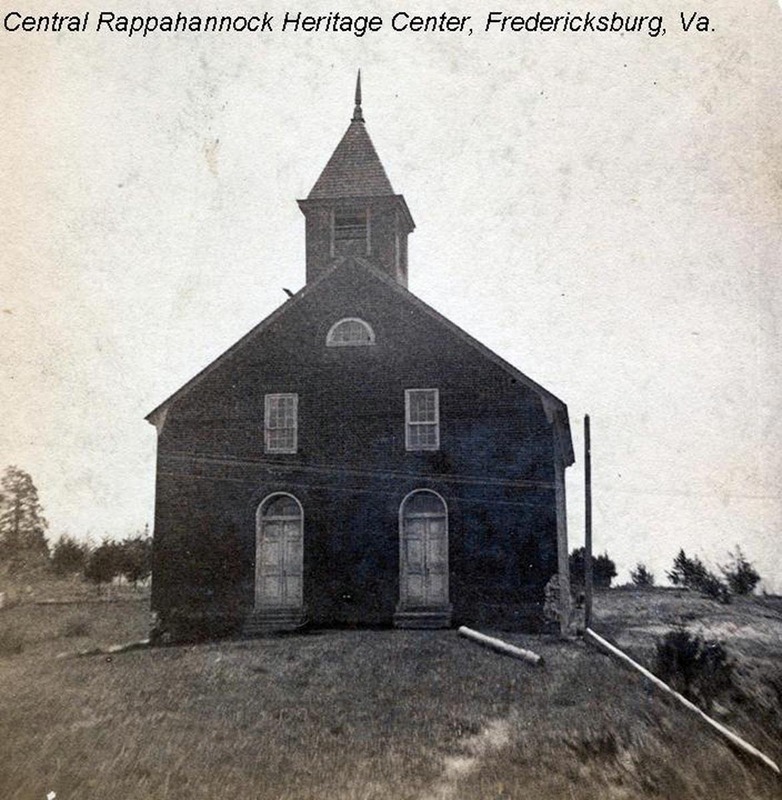 Upon arrival of Union troops in the spring of 1862, Union Church served the occupying forces as a hospital. Union forces also used it as a barracks, housing Union soldiers on picket duty along the Rappahannock River. One regiment to occupy the building was the 7th Michigan Infantry. This regiment had been the first to cross the river opposite the upper end of Fredericksburg on December 11, 1862. 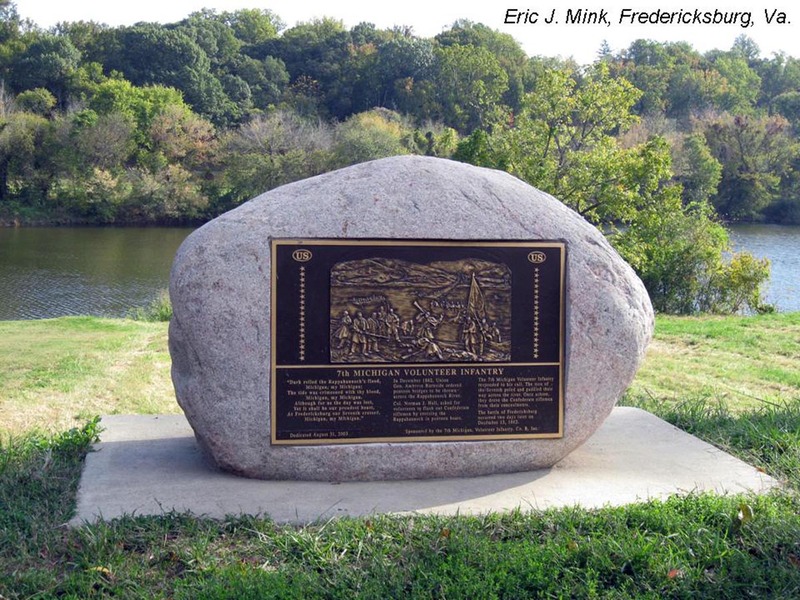 7th Michigan Monument at the site of the upper pontoon crossing - Fredericksburg. The regiment’s efforts allowed the construction of the upper pontoon bridge, which facilitated the seizure of the town by the Union army during the Battle of Fredericksburg. The survivors in the 7th Michigan spent the winter following the defeat at Fredericksburg picketing the river around Falmouth. A member of the regiment wrote that he and his comrades were “quartered in a deserted village called Falmouth,” and that some of the companies “were quartered in an old church used as a barracks.” One of the companies to occupy Union Church was likely Company I, as evidence of a member of that company survives on the interior plaster of the church’s narthex. Union Church in Falmouth - 2010. On the second floor of the narthex, and between to the two windows, the interior plaster bears the signature of a Union soldier. Private Edward Wise served in Company of the 7th Michigan Infantry. Wise, a native of Ohio, enlisted August 7, 1861 at Galesburg, Michigan. He provided his age as 19 and his place of residence as Calhoun County, Michigan. Wise’s enlistment was for three years, but on June 30, 1863 at Uniontown, Maryland, he deserted. The 1880 Census shows Edward living in Lucas County, Ohio with his wife Addie and daughter Corinna. On September 18, 1889, Addie filed for a widow’s pension. It would be interesting to see what the pension application says about Edward’s supposed desertion. 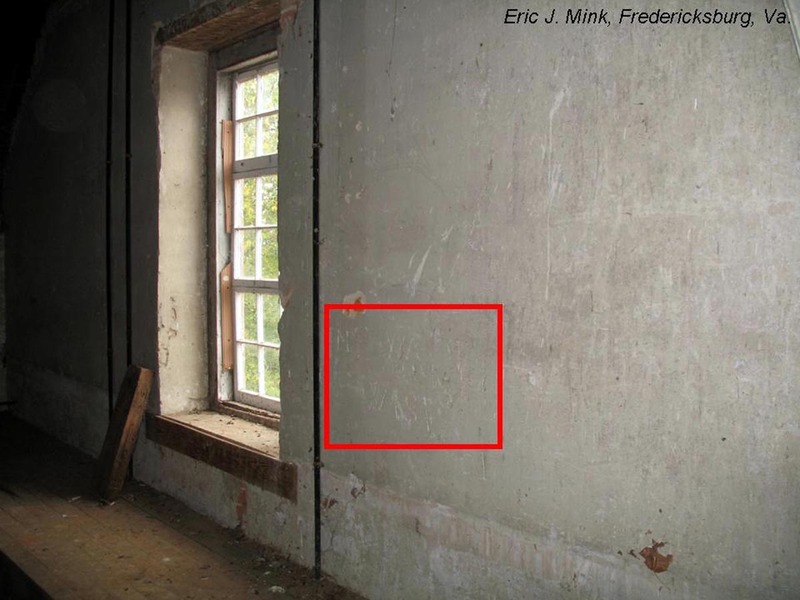 What we do know is that Private Edward Wise spent some idle minutes during the winter of 1862-1863 leaving his mark on the walls of Union Church. Union Church remained an active church until 1935. Fifteen years later, during a terrible storm, the roof was severely damaged, which ultimately led to the collapse of the chancel and nave. All that remains is the narthex. The rear of the remaining structure was bricked up in 1954. The rear of Union Church as it appears today - 2010. Today, the overall structure is suffering from deterioration. 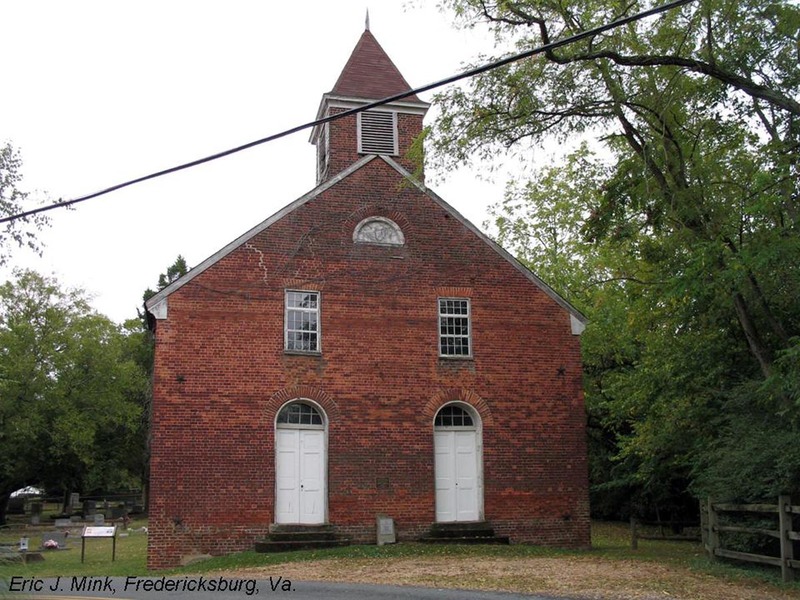 In 2006, Preservation Virginia listed it among the “Most Endangered Historic Sites in Virginia.” A local newspaper article more recently described its condition and the efforts by its trustees to save the structure. For now, Private Edward Wise’s graffiti is protected within the walls of the Union Church narthex. Thanks to John Heiser of Gettysburg NMP for supplying info on Wise’s military service. I really enjoyed this article. I’ve seen that church from Rt.1 so many times, but never knew it’s story. This post caught my attention because of the graffiti. How common is it? My parents have a house that was built in the 1850’s and we found writing on the plaster after removing layers of wallpaper. The writings were almost short diary entries & also a few lines of poetry. A few drawings as well. They live in a rural area of Bedford County and I don’t know soldiers ever being there.